MONTHLY photos contributed by our members for January - 2018. 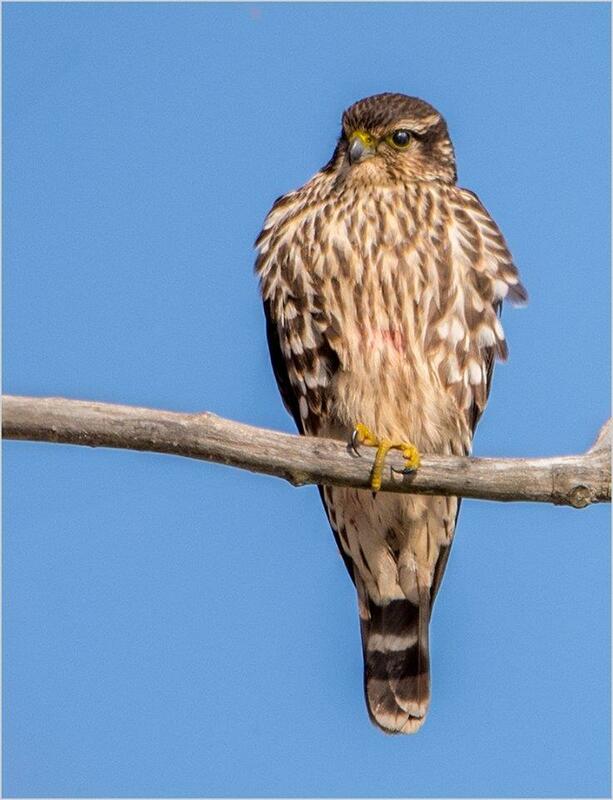 Donna Brok captured this exquisite portrait of a Merlin on the 1st at Buckhorn Island SP during the BOS field trip. Extremely cold, but beautiful sunshine! 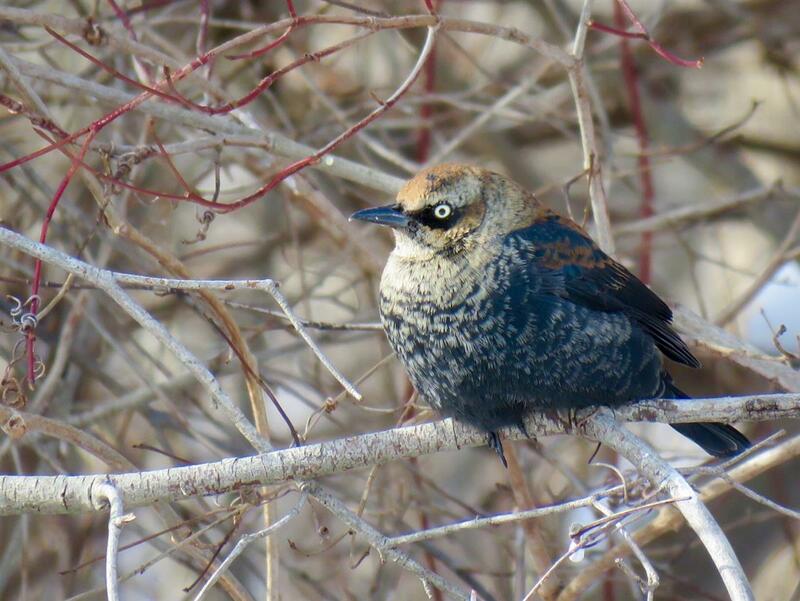 Unusual in winter, up to 11 Rusty Blackbirds have been coming to seed at the parking lot for Buckhorn Island SP. This individual entertained onlookers on the 1st during a BOS walk. 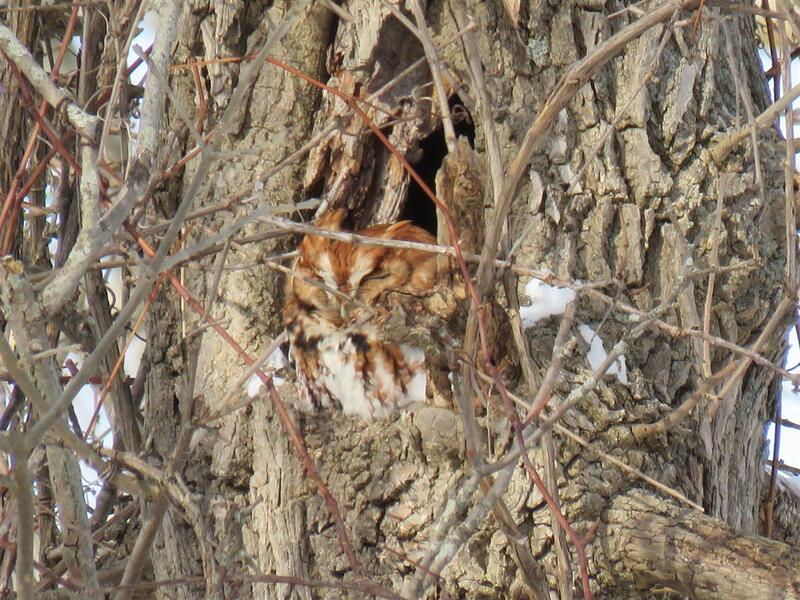 A rufous morph Screech-owl was an exciting find at the end of the BOS walk at Buckhorn SP on the 1st. This is the rarer of the two color morphs that occur in our region. 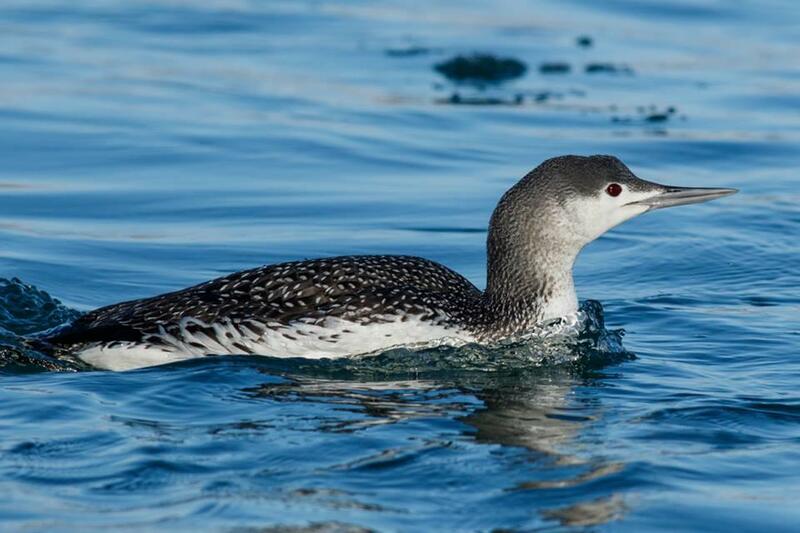 This Red-throated Loon was photographed by Ryan Griffiths along the Niagara River in Fort Erie on the 14th. It was near the International RR Bridge. 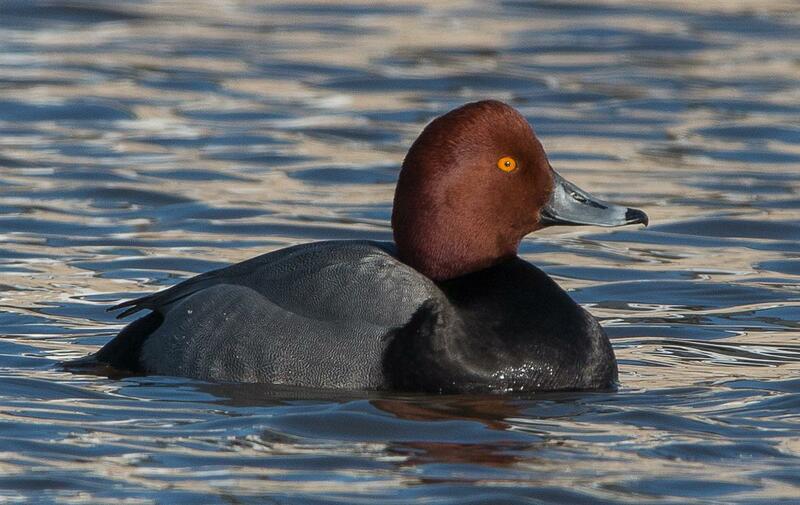 One of several Redhead enjoying the thaw at Olcott Marina on the 17th. 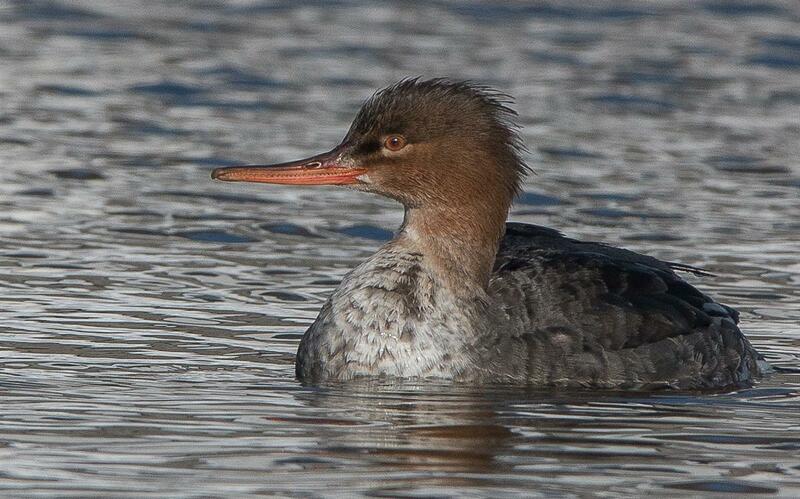 Red-breasted Merganser at the Olcott Marina on the 17th. 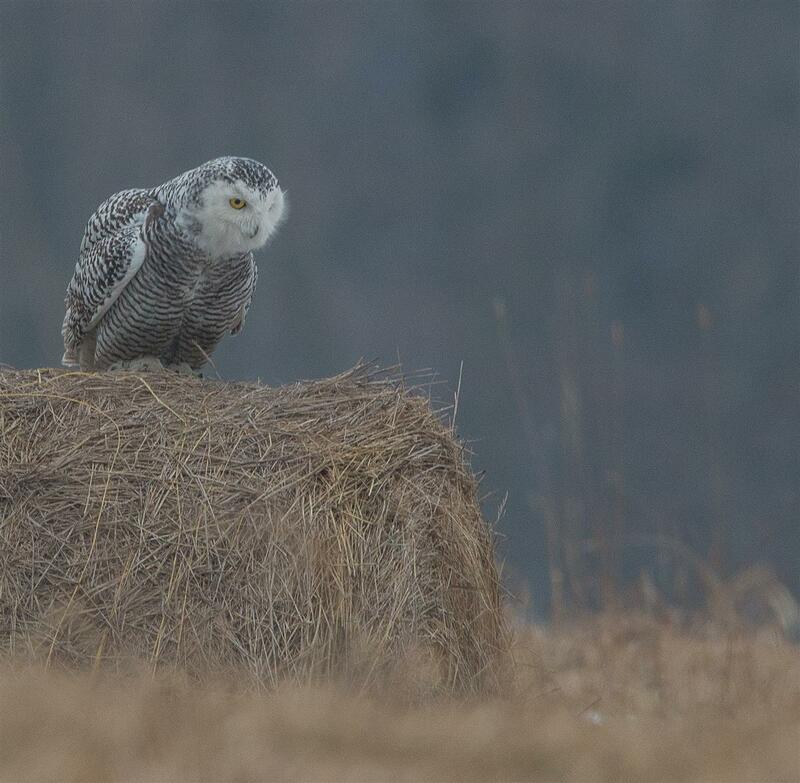 A Snowy Owl in Barker on the 21st, looking/listening intently at a possible snack below its perch. 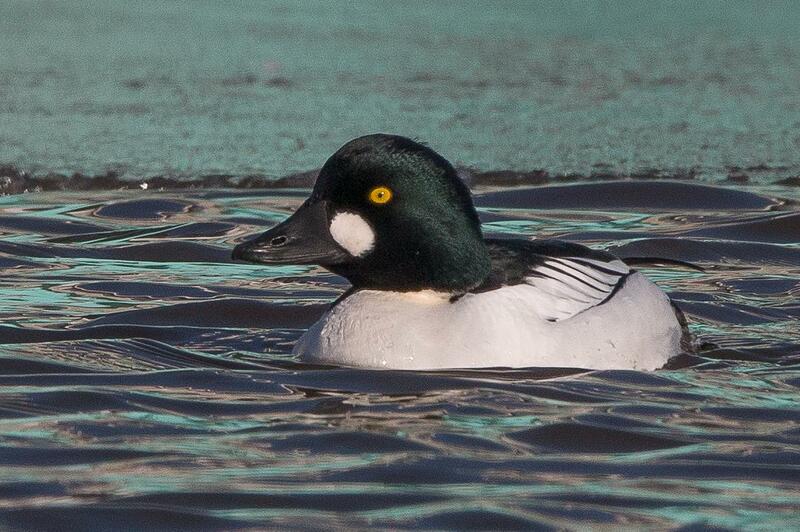 Male Common Goldeneye from the Olcott Marina on the 17th. 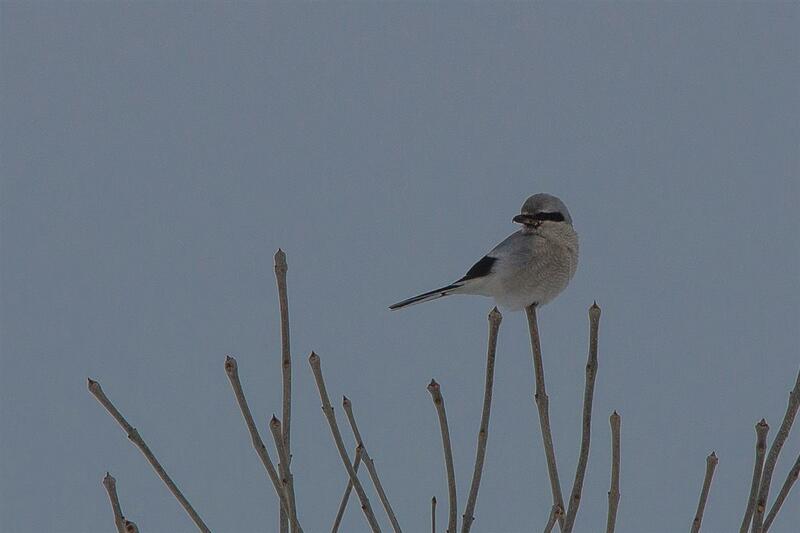 A first-winter Northern Shrike in Barker on the 15th, showing the brown scaled pattern on the chest and belly, which indicates a young bird. 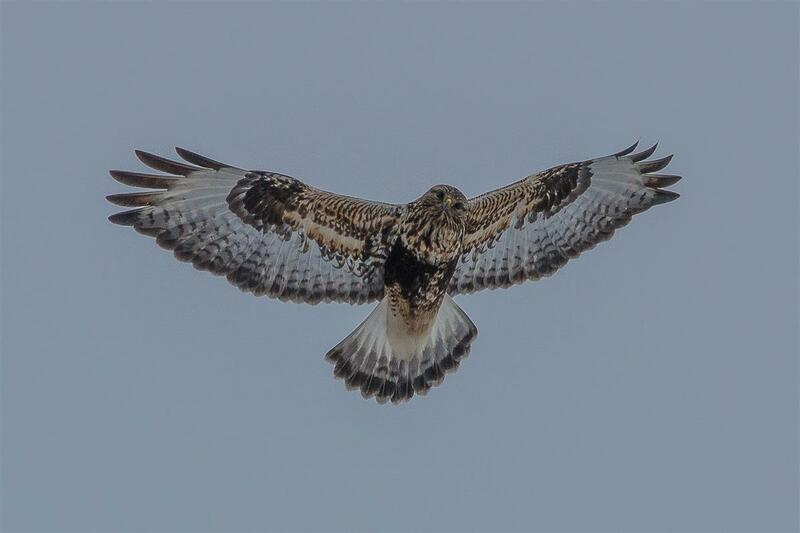 A light adult female Rough-legged Hawk flying over Golden Hill SP on the 15th. 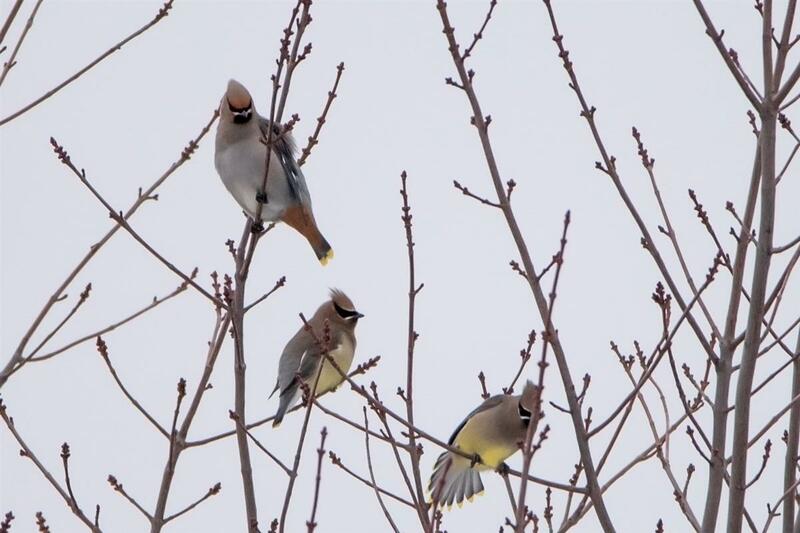 Sue Barth found this Bohemian Waxwing n the 21st in the town of Boston, Erie County. This species is exceptionally rare in Erie County. Photo by Sue. Another image of Barth's Erie County Bohemian on the 21st. 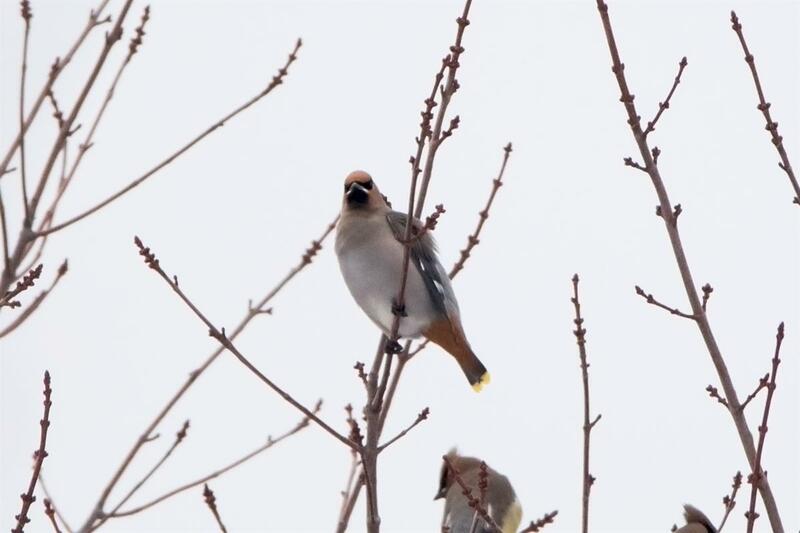 Note the grayish overall color and reddish-orange undertail coverts. 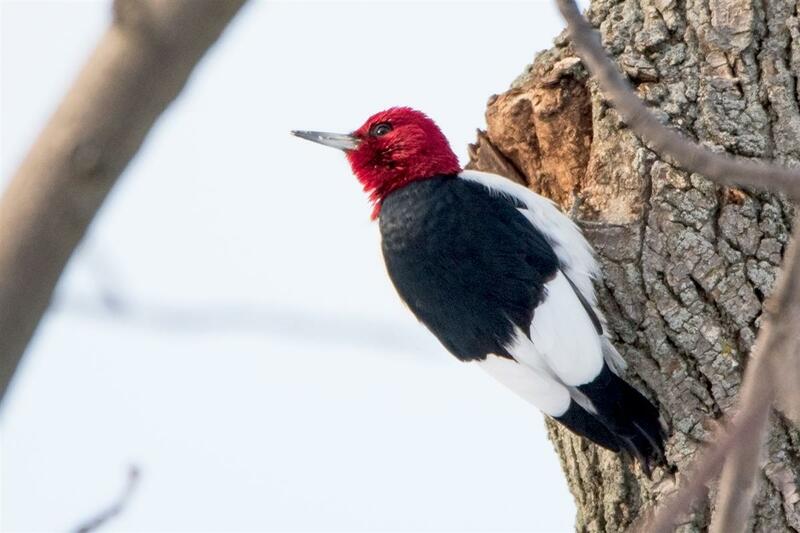 Continuing at Reinstein Woods in Cheektowaga, NY is this gorgeous adult Red-headed Woodpecker. Photo take by Paul Bigelow on the 10th. This species is rare in winter in WNY. 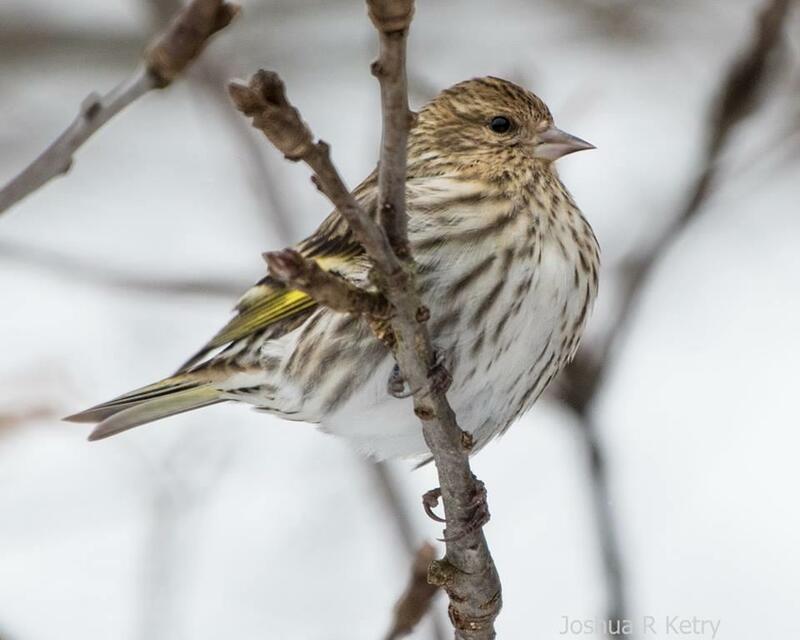 Josh Ketry captured this beautiful profile of a Pine Siskin on the 24th at Beaver Meadow Audubon Sanctuary. Note the fine-tipped, cone-shaped bill, yellow wing bar and heavily streaked body. 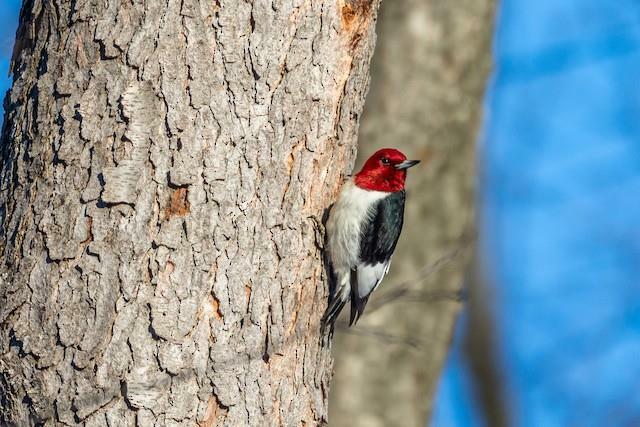 Another over-wintering Red-headed Woodpecker. This guy was seen at Sturgeon Point on the 9th. 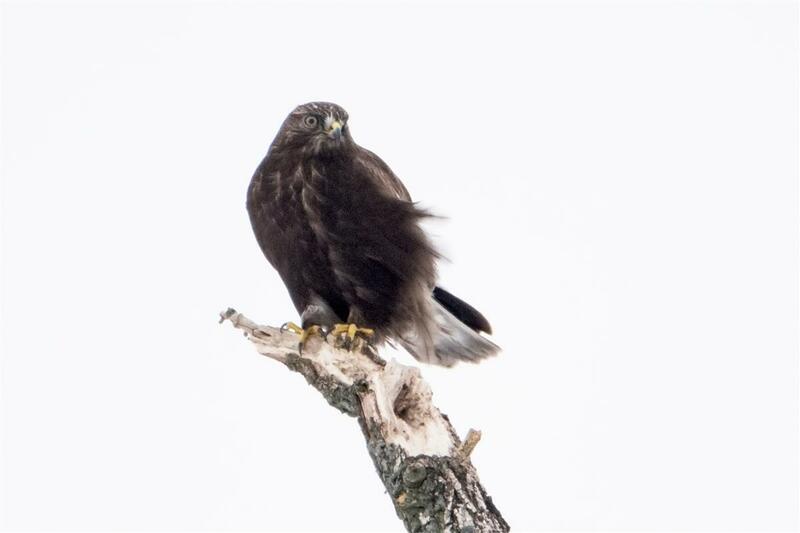 This beautiful dark morph Rough-legged Hawk was seen perched at a farm house down in Cattaraugus County on the 9th. 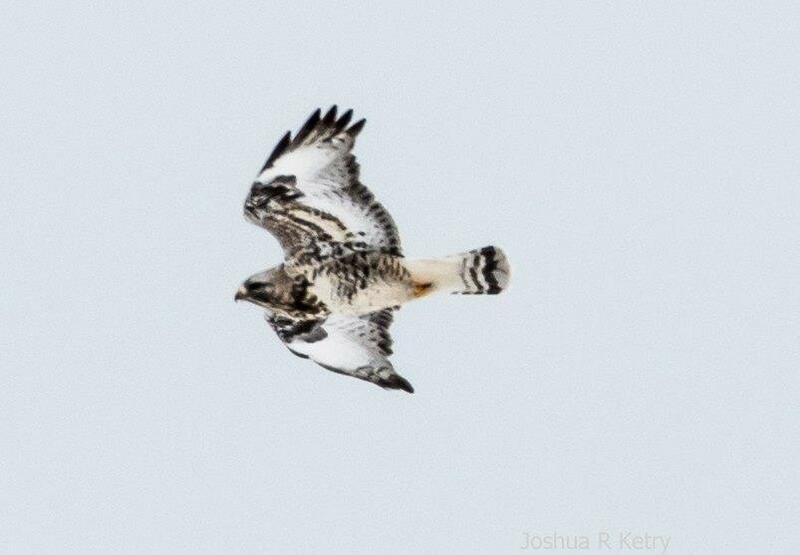 Josh Ketry captured this beautiful adult male Rough-legged Hawk in flight in Allegany County near Freedom, NY on the 31st.